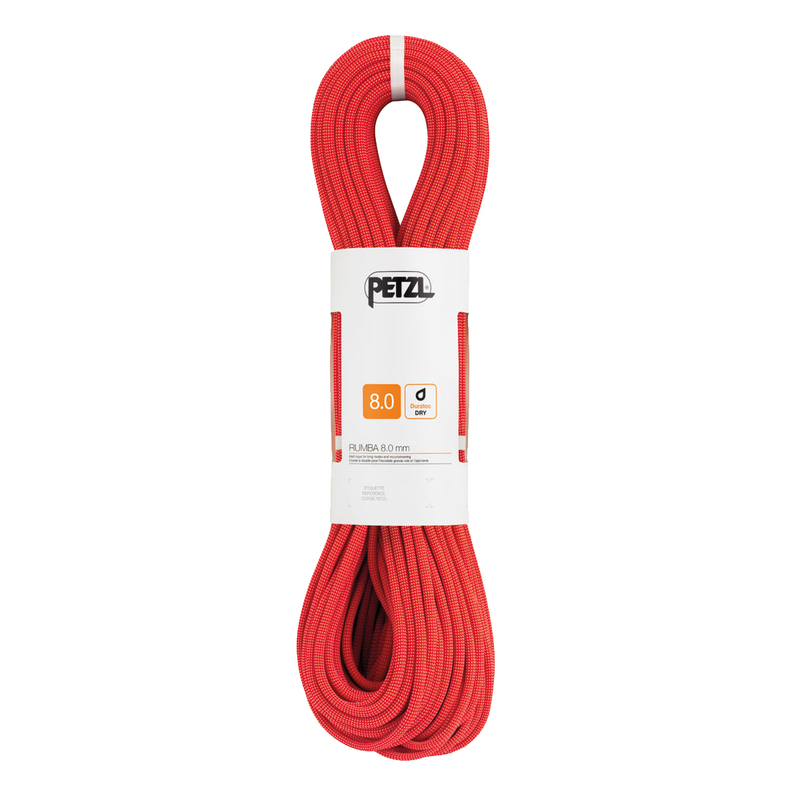 The Petzl RUMBA 8.0 mm Duratec Dry is a half/twin rope with the Duratec Dry treatment designed for all-season use. 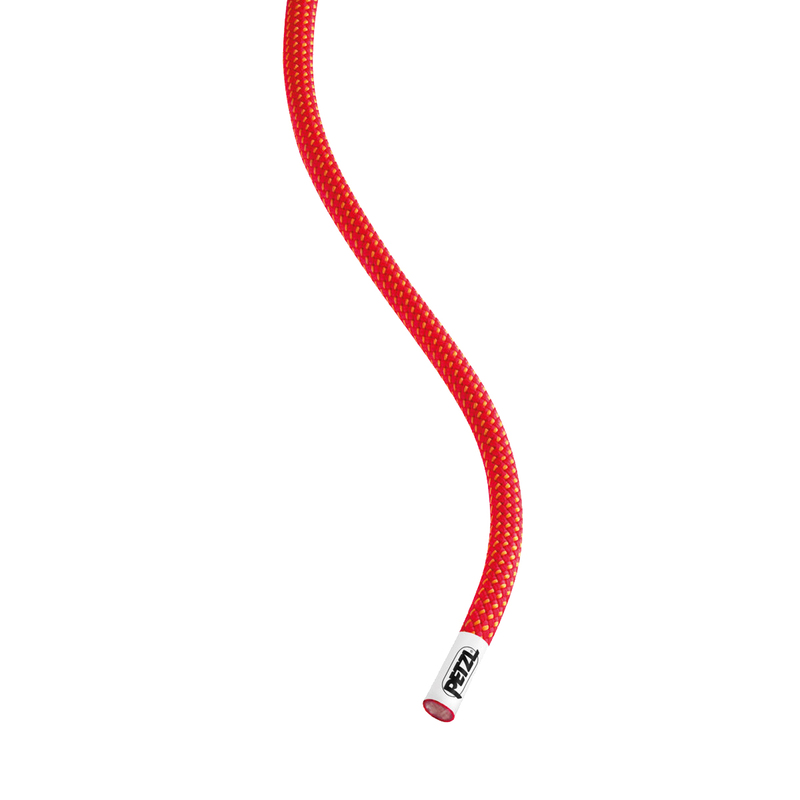 With the DD treatment EverFlex treatments, the Petzl RUMBA 8.0 mm Duratec Dry is resistant to water, dirt, and abrasion, and its reinforced sheath is designed to maintain grip and smooth handling characteristics even when wet and after heavy use, making it ideal for use in multi-pitch climbing, mountaineering, and ice climbing. Water-repellent treatment: makes the rope more resistant to water, dirt, and abrasion; handling, grip and other characteristics are retained longer in cold, wet conditions. Really nice, vibrant ropes. Handle very well, though take a few routes to get rid of the new rope 'sheen', which can be a bit slippy through the belay device. Now they're broken in they've been great - bright colours and nice weight/thickness. Can't yet comment on longevity, having only had them out for 15-20 routes fo far, but they not showing any wear just yet. For the price, you'd be mad not to!